ESPN at Super Bowl LII - ESPN Press Room U.S.
ESPN kicks off its coverage of Super Bowl LII – a matchup between the NFC champion Philadelphia Eagles and the defending Super Bowl champion New England Patriots – on Monday, January 29, with Super Bowl Opening Night (8 p.m. ET, ESPN2). SportsCenter anchor Steve Levy will host the three-hour show from the Xcel Energy Center in Saint Paul with NFL analysts Tedy Bruschi and Ryan Clark. Beginning Wednesday, ESPN will welcome fans to its Super Bowl headquarters at the IDS Center Crystal Court in downtown Minneapolis to view live programming like SportsCenter, NFL Live and Sunday’s Postseason NFL Countdown, all free of charge. ESPN shows will also originate from Radio Row and the Hard Rock Café at Mall of America as well as the sidelines of U.S. Bank Stadium. Show schedule: http://es.pn/2DytKAz. SportsCenter On the Road: Steve Levy (Mon, Wed-Sat night), Mike Greenberg (Wed and Thu mornings) and Sage Steele (Fri, Sat and Sun mornings) will rotate as hosts of SportsCenter on the Road in Minneapolis. Levy and Greenberg will also co-host the post-game edition of SportsCenter from U.S. Bank Stadium following Super Bowl LII. First Take: ESPN’s morning debate show hosted by Molly Qerim with commentators Stephen A. Smith and Max Kellerman will have Smith live on-set at the Hard Rock Café inside Mall of America on Thursday and Friday. Smith will welcome guests to the set including Hall of Fame players Emmitt Smith and Dan Marino and comedian/actor Kevin Hart. NFL Live: Trey Wingo (Wed, Thu) and Suzy Kolber (Fri) will host the 90-minute show from the IDS Center Crystal Court with a combination of NFL analysts, including: Super Bowl champions Tedy Bruschi and Ryan Clark, Super Bowl XL quarterback Matt Hasselbeck, and NFL Insiders Chris Mortensen, Louis Riddick and Adam Schefter. NFL Matchup: Sal Paolantonio will preview Super Bowl LII with Riddick and NFL Films’ Greg Cosell. NFL Matchup airs Sunday on ESPN (at 3 and 5:30 a.m. ET) and ESPN2 (at 8:30 a.m. ET). Postseason NFL Countdown: Suzy Kolber will host the four-hour Super Bowl Sunday pre-game show (10 a.m.-2 p.m. ET) from U.S. Bank Stadium with former Super Bowl MVP Steve Young, Mortensen, Riddick, Schefter and special guest analyst/Carolina Panthers tight end Greg Olsen. Sam Ponder, Hasselbeck, Randy Moss, Rex Ryan and Charles Woodson will join from IDS Crystal Court. NFL PrimeTime: Chris Berman will host the post-Super Bowl highlights show (10:30 p.m. ET) from the field at S. Bank Stadium with Moss and Young. Additionally, Paolantonio (Eagles) and Josina Anderson (Patriots) will cover the Super Bowl teams, providing updates on ESPN shows throughout the week. ESPN Films’ 30 for 30 documentary “The Two Bills” premieres Thursday, Feb. 1, at 9 p.m. ET on ESPN. Directed by Ken Rodgers and produced by NFL Films, “The Two Bills” features Bill Belichick and Bill Parcells being interviewed together for the first time since 1991 and traces the relationship between these two coaching masters that spans over four decades. Trailer. Golic and Wingo (Wed-Fri from 6-10 a.m. ET, ESPN Radio and ESPN2): Mike Golic, Trey Wingo and Mike Golic Jr. – hosts of ESPN Radio’s new national morning show – will be live from the Hard Rock Cafe at Mall of America. Planned guests include current NFL stars Deshaun Watson, Luke Kuechly, Marcus Mariota and Travis Kelce; New Orleans Saints head coach Sean Payton; and Hall of Fame running back Emmitt Smith. The Stephen A. Smith Show (Thu and Fri from 1-3 p.m. ET, ESPN Radio): Host Stephen A. Smith will be live from Radio Row. First & Last (Wed-Fri from 4-6 a.m. ET, ESPN Radio): Host Mike Golic Jr. will be live from Radio Row. ESPN New York 98.7FM’s The Michael Kay Show (Wed-Fri from 3-7 p.m. ET, ESPN Radio New York): Michael Kay, Don La Greca and Peter Rosenberg will broadcast live from Radio Row. ESPN Deportes Television will offer comprehensive news and information coverage of Super Bowl LII featuring a team of 13 reporters/analysts in Minneapolis: Álvaro Martín, Super Bowl-winning kicker Raul Allegre, John Sutcliffe, Ciro Procuna, Kary Correa, Eduardo Varela, Pablo Viruega, Fernando Tirado, Tyson López, Mauricio Pedroza, Rebecca Landa, Sebastian Martinez Christensen, and Carlos Nava providing daily reports. ESPN Deportes Radio will present week-long news and information with on-site reporting and analysis from Sebastian Martinez Christensen, Kenneth Garay and Carlos Nava. 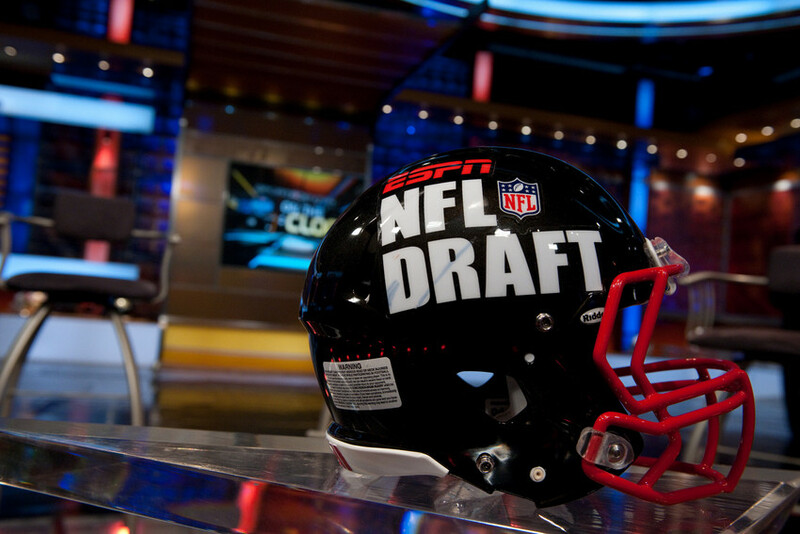 Firma ESPN and Zona ESPN will be produced live from site throughout Super Bowl week. On Super Bowl Sunday, ESPN Deportes Radio will begin its coverage at 5 p.m. ET with live coverage of the game at 6 p.m. ET. ESPNDeportes.com will provide complete reporting and highlights throughout the week, including daily live streaming segments, press conferences, and news, updates and analysis on both teams. Reporters Carlos Nava and Sebastian Martinez Christensen will be on-site to cover both teams. ESPN International and its affiliated networks will present Super Bowl LII live to more than 69 million households in 74 countries and territories throughout Spanish-speaking Latin America, Brazil, the Caribbean, Australia, New Zealand, the Pacific Islands, Canada, the Philippines and Sub Saharan Africa. Commentary and analysis is provided in four languages — English, French, Portuguese and Spanish. Highlights. Super Bowl LII “live” on ESPN.com and the ESPN App, with live win probabilities, controversial calls, and analysis of big plays, and the best photos throughout the game. Super Bowl predictions from ESPN personalities, writers, celebrities and more. In-depth previews of the game from NFL Nation reporters, including all the latest news and updates from AFC reporter Mike Reiss (covering the Patriots) and NFC reporter Tim McManus (Eagles). Kevin Seifert’s coverage of big-game officiating will have a preview, a look at the biggest, best, and worst calls, and a full review. ESPN Digital video from Minneapolis, featuring NFL Nation reporters and NFL Insiders, including coverage of Super Bowl Opening Night. A full postgame breakdown of how the game was won from Bill Barnwell. ESPN Insider content includes on-location analysis from Mike Sando, Pro Football Focus’ ranking of all 106 players in the Super Bowl, betting coverage from ESPN Chalk, and many more advanced-metric breakdowns leading up to and after the game. Instant postgame analysis and the hugely popular Way-Too-Early Power Rankings for the coming season. A ranking of every Super Bowl MVP, including this year’s winner. There will also be features on key players for each team from ESPN The Magazine, in addition to a guide to Minneapolis and all you need to know about U.S. Bank Stadium. espnW.com will have news and features around the Super Bowl, including a “Cool Jobs” profile of Toyya Lassere, U.S. Bank Stadium’s guest experience manager, on preparing for the big game. Plus, Sara Nović will contribute an essay exploring the idea of the bandwagon fan. Reid profiles Eagles defensive end Chris Long – arguably the NFL’s “most woke player,” who avoids labels or praise, and believes in doing what’s right. For Long, who is the son of Raiders Hall of Fame defensive end Howie Long, what’s right is as clear as black and white. Thirty years ago at Super Bowl XXII on January 31, 1988, Doug Williams became the first black quarterback to win the game. Williams, then quarterback for the Redskins, threw four touchdowns in the second quarter to erase a 10-0 first quarter deficit, en-route to 42-10 victory over the Broncos. The Undefeated will publish an oral history, authored by Reid, on the miraculous second quarter of Super Bowl XII. Domonique Foxworth makes the case for why wide receiver Terrell Owens should be in the Hall of Fame. A data-driven comparison of the two Super Bowl teams, including QB comparisons, key numbers, how they got there, efficiency ranks, key matchups, etc. Stadium Food Deconstructed: Featuring the “Purple Grip,” a purple pancake filled with tater tots, sausage and bacon gravy, served at U.S. Bank Stadium, home of the Super Bowl. Double Coverage with Katie Nolan & Mike Golic Jr.
ESPN’s Katie Nolan and Mike Golic Jr. will host Double Coverage, a live show from Minneapolis, streaming on Twitter Wed.-Fri. at 4 p.m. ET via @ESPN and live.twitter.com/espn. Nolan and Golic Jr. will break down everything on and off the field, from prop bets to nickel packages. The audience on Twitter will steer the show through a variety of segments, as the show blends hard-hitting analysis with viral content and a host of guests. Double Coverage will offer audiences a look at Super Bowl week as only Nolan and Golic Jr. can. The show will be streamed live on Twitter globally and each show will also be accompanied with a Twitter timeline, featuring the related real-time conversation as fans and experts react to the latest news and highlights from Super Bowl week.